fazer um curso superior e procuram informações sobre cursos e/ou profissões. informações para o público leitor. b) Logistics: 2 years; Digital Games: 2 ½ years. Games: in specialized companies or at home. Internet, according to market needs. (b) This kind of conjunction shows that both alternatives are excluded. (a) This kind of conjunction shows two possible alternatives. c) Ann studies neither during the day nor in the evening. d) Alfred neither works nor studies. e) I may become either an engineer or a Mathematics professor. f) They can enter university either next semester or next year. respostas para os itens b; c; d também são pessoais. b) We neither sell nor rent computers in this store. It’s a music store! d) He is a great actor! He can be either the hero or the villain. e) I can meet you either Wednesday or Friday. I’m available both these days! c) The hotel was neither clean nor comfortable. d) We can leave either today or tomorrow. It’s up to you! e) Mark neither drinks nor smokes. f) You can either write an email or call them. em grupo para que todos possam aprender uns com os outros, trocando informações. Admission Requirements justificam a resposta. 4. You use if to express conditions. 4. A sequência é (F), (F), (F), (F) e (T). ----------- for a graduate course. 5. They express future possibility. b) is going to study for his Science test at John’s house. c) is going to help his brother with computer lessons. d) is going to have a soccer class. e) is going to have an extra computer class. f) is going to watch a soccer game. b) He will get his first job before he goes to college. c) When he finishes high school, he will look for a job. d) He will take Computer Science at college after he finds a job. e) He will get a promotion if he works one year as an intern. a) I might pass the final History exams. b) Jones might win the next election. c) They might get into college next year. d) I might be responsible for developing new projects in the company next year. e) You might be promoted after two years. 4. A sequência é (c), (d), (b), (e) e (a). correção (dos colegas e/ou do professor) e de edição da versão final. 1. Sequência: (a), (c), (a), (b), (b), (c) e (b). 3. Sequência (b), (a), (a), (c), (b) e (a). 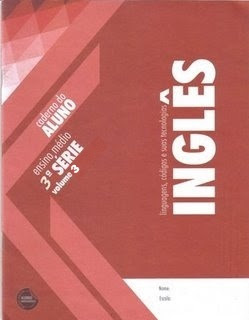 guide, que aparece nas Situações de Aprendizagem 1, 3 e 4.  Sentence Student Guide – choosing your profession!